ADC: An Institution in Turmoil or a Community in Turmoil? Every community and every organization deals with challenges. This is part of the community and organizational growth process. ADC is not an exception. ADC is an organization that that the “revolutionary” members of the Arab American community simply hate. They hate ADC because they want/ed ADC to be more radical, more controversial, and yes, more divisive. 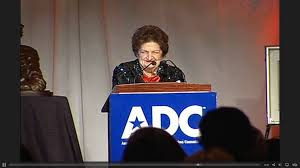 As an organization that represents Arab Americans of all national, religious, political, and ideological backgrounds, ADC has tried to focus on what can unite all Arab Americans of all backgrounds: The civil rights of Arab Americans. Many wanted ADC to be more and when that did not happen they left. They left and ADC continued to exist. It was reported that during Hajj 2013 there was a sectarian attack against a group of Lebanese Shiite pilgrims from Dearborn. The alleged attackers were Lebanese Sunnis. ‘ Arab American pilgrims from the Metro Detroit area where attacked and assaulted, for what appears to be sectarian reasons, on Wednesday, Oct. 16, while performing the rituals of Hajj in Mina, Saudi Arabia. It is reported that during Hajj 2013 there was a sectarian attack against a group of Lebanese Shiite pilgrims from Dearborn, Michigan. The alleged attackers were Lebanese Sunnis. Before jumping to conclusions it is important to consider two factors. 1. Was the attack truly sectarian or was it related to the politics of Lebanon? 2. 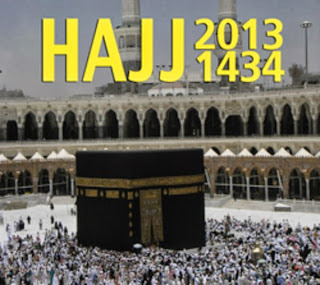 Let’s not forget that there were 1.4 million making Hajj 2013 and that at least 10% of them were Shiites- that makes more than 140,000 Shiite pilgrims that performed the Hajj peacefully. Osama Siblani and his paper The “Arab American” News “The News” are persistent in their campaign against Imad Hamad and the ADC. 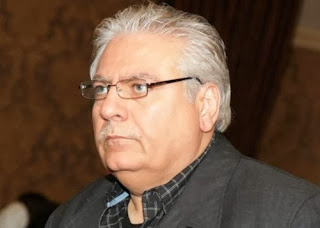 The unanimous decision of the ADC national board, a board of individuals of diverse national and religious/sectarian backgrounds, decided that there is “inconclusive evidence” in the sexual harassment case against Imad Hamad. Despite that, they decided to relieve Imad of his duties as the regional director and keep him as an advisor to the ADC. I don't think this is fair to Imad but Imad has accepted it. The other day I got a phone call from Lebanon. It was from a friend of mine who moved to Lebanon a few years ago. He asked me about what is going on with Imad Hamad and ADC. I told him what I thought was happening. He responded by saying that Osama Siblani is using his newspaper, the Arab American News "the News", as a tool to attack those who don’t pay him just like it is understood in Lebanon that Charles Ayoub of the Lebanese daily Ad- Diyar uses his paper to attack those who either stop paying him or refuse to pay him. Maybe this is the case I said. Reading the way Osama’s pet newspaper is covering the ADC story and seeing Osama's antics make you wonder. A Real Job for Rana and Grants for ACCESS? 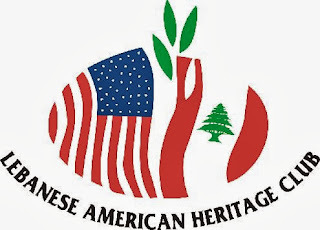 Let’s talk about AAPAC and Osama Siblani’s idea of the “Arab American” community. This is the current leadership of AAPAC: President: Mariam Saad Bazzi, Esq. Vice President - Internal: Ali Hammoud, Esq. Vice President - External: Zenna Elhasan, Esq. Treasurer: Osama Siblani Secretary: Mona Fadlallah, Esq. Niraj Warikoo- Where is the Arab American Community in the ADC story? In a Free Press article, Niraj Warikoo follows up on the issue of the ADC investigation. It seems there was a mix up as to what the outside attorney was hired to do. One thing we know is that she was charged with the investigation. It seems she was not asked to give a conclusion. Fair enough. ADC is saying its board made the decision. Given the nature of the crusade and the vested interests in it by the Osama Dearborn gang, the crusaders would find a way to keep pushing the issue. Let's not forget that from day one Osama Siblani said thar ADC "dropped the ball on us" and that ADC has a "credibility" issue. This is rich- coming from, of all people, Osama Siblani (more on Siblani in future entries). The Arab American Community of Greater Detroit? Who is it that community? As defined by Osama Siblani and his paper. This is reporting on the "community reaction." I am eager to hear from the Yemenis, the Palestinians, the Iraqis, the Tunisians, the Christians, the Muslims, the Sunnis, the Shiites, the Christians, etc. I am setting myself for a disappointment. Who is the community in Osama’s world? Facebook Rashida is a role model?